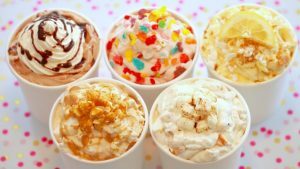 Ice cream is one of the most popular treats in the US and the country has many varieties of parlors and vendors, offering ice cream varieties from the traditional to the exotic. If you are considering at opening your own ice cream shop, it is best to weigh your options before creating a business plan. Here are a few areas that are worth looking at before you venture into the ice cream business. Researching the business – It is definitely tempting to own your own business and see your ideas come to life. However, running your own business can be stressful and will require a lot more of your time. If you are someone who is risk averse, often distrusts your instinct and needs a steady income to support you and your family, managing your own business may not be for you. However, if you thrive in difficult circumstances and are comfortable with making big decisions, then it can be a good idea to venture into your own business. Decide on a business model – If you have chosen to go ahead, you should know that you have a number of options to start your ice cream shop. For example, you can invest in a franchise, start your own or invest in a current shop. Although all these options carry their fair share of risks, a franchise is a wise option for a new entrepreneur. This is because the franchise will include a business plan, store plan and will even include custom yogurt cups for your new business. Research – It is advisable to do your research and visit most of the ice cream stores in the area. Analyze how they run their business and look at their store layout, service, and even their serving options, down to their frozen yogurt spoons. Gelato Products is one of the Los Angeles wholesale frozen yogurt suppliers for Gelateria owners.